Piano and saxophone tuitions provided by qualified and experienced tutor along with the contributions from the music theory and ear training exercises (aural tests) available for all stages. 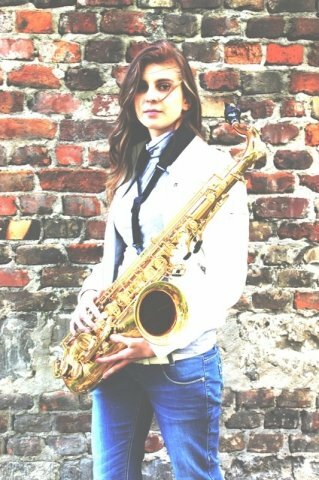 She graduated The Second Level Music School and passed a diploma examination with the result of the professional title of Musician, speciality within the scope of playing the piano and saxophone. Furthermore, she has been awarded Bachelor of Arts with Honours, First Class in Music Business. Thus, it easily allows her to recognise your talent and help with your future music career. DBS Certficate to teach children and adults! Emilia approaches each student individually depending on the age and severity. She prepares students for the ARBSM exams to gain professional skills! Lessons are held at her studio room (Acocks Green) in a stress-free atmosphere! 9 years' one-to-one teaching experience. I approach each student individually depending on the age and severity. Satisfaction guaranteed at achieving progress, patient approach and friendly atmosphere! EmiliaFrom Mark (5/5): I am new to piano and wanted to learn. Emilia is a great teacher who has tailored her lessons to my needs. I am seeing positives results thanks to her and aim to take Grade 1 Piano this year. Reply from: Emilia: Thank you! EmiliaFrom Daniil (5/5): Emilia is my first piano tutor and I am very happy it was her I have contacted via First Tutors. Emilia has taught me sight-reading, rhythm and musical theory in a straightforward way. You will find her a very friendly person always willing to help you with your studies. She also has a very nice white piano at her studio! I would definitely recommend her as a tutor to begin your music journey with. EmiliaFrom Simon (5/5): Emilia is a superb Piano teacher. She is very professional and friendly. Emilia knowledgeable about music in general is top marks! she explains music very clearly. I am very happy to play piano again, I haven't been playing Piano for around 10 years and now I'm greatly motivated to play Piano again and I owe it for the most part to Emilia.